In this group of 42 pieces are Galloping and Standing Horses with Riders, Cowboys with Revolvers in various stances, and hold-up victims. 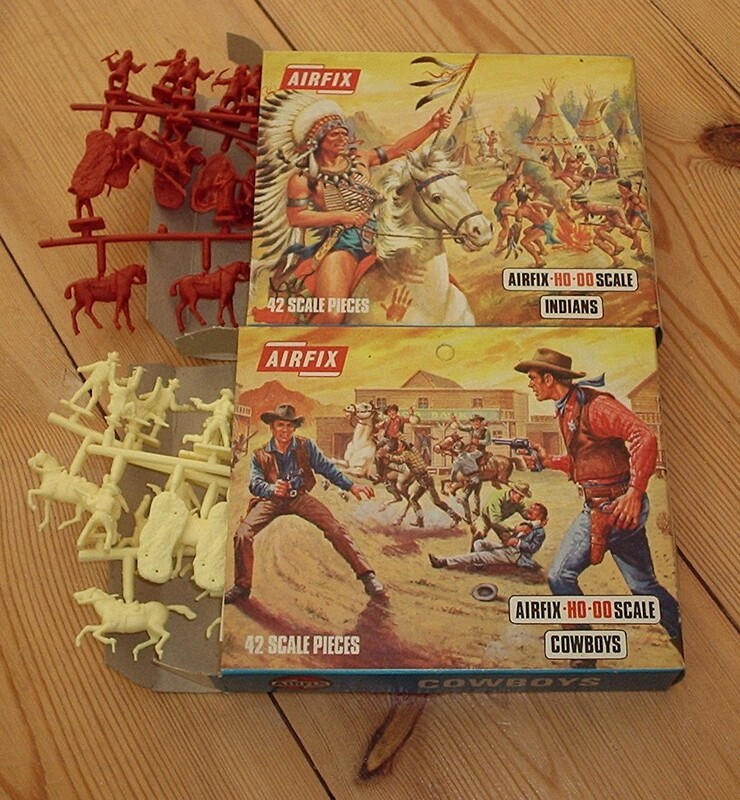 The 7th Edition Catalogue (1969) has this set as the High Chaparral Cowboys, after the high rating TV show of the day. 10th, 11th and 12th Editions had both High Chaparral Cowboys (01738-1) and Cowboys (01707-7) before droping the High Chaparral Cowboys in the 13th Edition in 1976.